I think it would be fair to say that the design department at Peugeot have been going through what rock stars commonly refer to as their ‘wilderness years’ in recent times. Newer models such as the 208 and face-lifted RCZ aside, cars rolling off the Peugeot production line have been unfortunate enough to resemble the lovechild of a newly discovered, rain-forest dwelling amphibian, and Pete Burns. But what’s this? 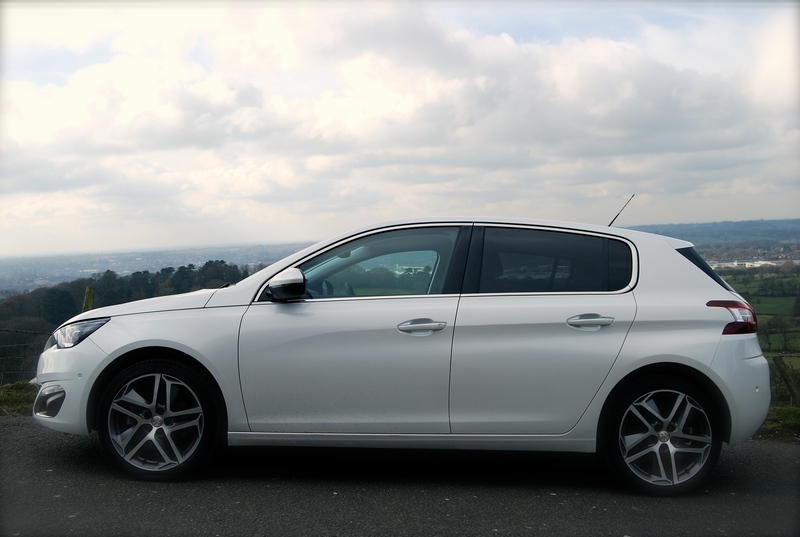 Here to signal an end to taste and decency’s sabbatical, it’s the newly crowned Car of the Year, the new Peugeot 308. On face value alone, this model surely brings a breath of fresh air to Peugeot dealerships across the world, relieving their beleaguered salesmen of the need to avert potential customers’ gaze before they notice just how unsightly their potential new car actually is. I thought the initial press shots of the 308 were alluring but this is quite often the case, with the actual road-going model proving what can be done with a clever photographer and very little light. Not so the 308. Utilising the old adage that less is more, Peugeot have binned many unnecessary design cues and features and stuck to the principle of concentrating on making a car that people will find appealing. The new Peugeot 308 is lower and wider than its predecessor, and thanks to its new EMP2 platform, both front and rear overhangs have also been reduced, pushing all four wheels further towards their respective corners. These adjustments will usually add visual appeal to any model but I think it’d be unfair to solely heap praise on them without commenting on the actual lines and features of the 308. The neat double grille and absence of exaggerated jutting chin will hopefully mean an end to the ‘basking shark’ styling cues of recent Peugeots as the results are impossible to argue with. The sleek LED headlight cluster may not be the most original design on Earth, but there’s an attractive sense of organisation and purpose when combined with their slightly smaller mirror images directly beneath. Again, this is in stark contrast to the haphazard nature of the model it replaces. 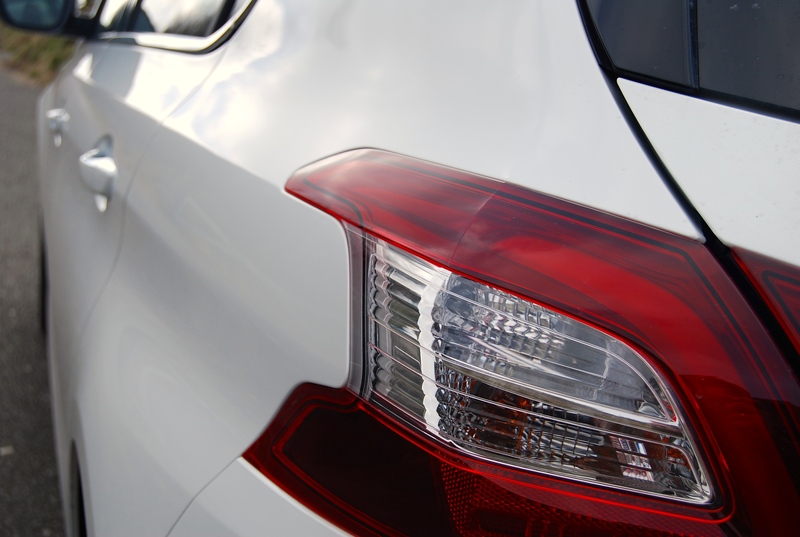 The rest of the Peugeot 308 carries on in the same vein, with one broad line emanating from the front wing, rising up through both door handles and culminating in the central portion of some C shaped, ‘claw effect’ rear lights. At the rear, a relatively large bumper and small window combine to reduce the overall feeling of size, thus adding a more coupe feel to the whole event. If sweeping changes have been made to the exterior of the Peugeot 308, it’s fair to say the same treatment has been dished out to the living space too. Minimalist is the order of the day inside with many knobs and dials being removed and their functionality incorporated within the very iPad like central screen. It doesn’t take long to get used to this way of doing things and the screen is one of the most user-friendly I’ve come across. On the other hand, it is sometimes useful to just be able to adjust the temperature or stereo by pressing or turning a cheap plastic knob, rather than have one’s attention distracted by scrolling through numerous menus and images. 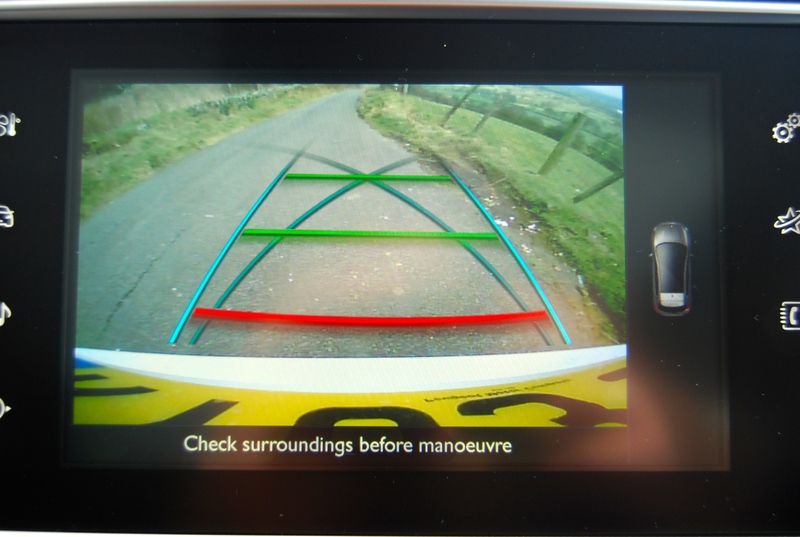 The image from the reversing camera deserves special mention as the clarity is outstanding, almost HD. Conversely though, the SAT NAV system on our test car warrants special mention due to its inept approach to navigation. Why the software can’t be programmed into all systems at source to recognise postcodes is beyond me – every road’s got one. This requirement to input the desired road name and then which road it intersects is ridiculous – if I knew such details, I surely wouldn’t need a sat nav as I’d already be familiar with the area. That said, our system was quite insistent that we were 50 meters to the right of where we actually were anyway, and there was no persuading it that we weren’t rudely ploughing through the surrounding flowerbeds and gardens. Some gremlins need removing here I feel. Peugeot have decided to migrate their miniature steering wheel project over from the 208, with the pretty, Evoque style jewelled dials being visible over the top of the wheel, not through it. A few people are insistent that it’s tricky to get a comfortable seating position whilst maintaining sight of the dials but I’ve no issue with it myself, having had the method explained properly to me. My only issue is how this go-kart esque wheel translates to the whole driving experience; obviously an adjustment of a smaller circumference wheel equates to a more dramatic effect at the driving wheels than a larger one would, that’s basic physics. 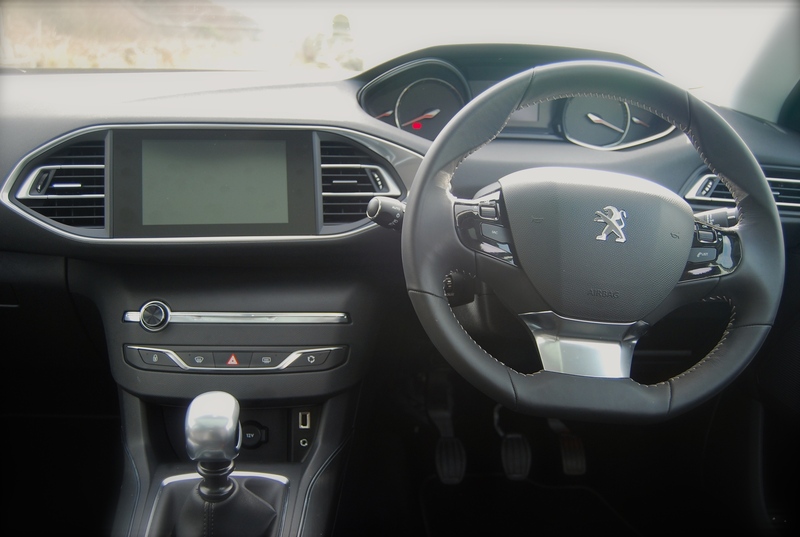 This is all well and good in an intense, high-speed environment but it can make the Peugeot 308 feel a little twitchy during everyday driving when a more relaxing ride might be what you’re after. I just feel that this diminutive wheel should possibly have been reserved for more driver-focussed Peugeots such as their GTi, RCZ and R models, and give everything else something a touch bigger to play with. Our test car came equipped with Peugeot’s new 156bhp, 1.6l petrol unit under the hood and, as much as it pains me to say it, I’d opt for the Diesel if it were me. There’s nothing wrong with this petrol engine, per se, although I did find it a little reluctant to rev past 3000rpm, it’s just that when you compare the alternative, it makes more sense. 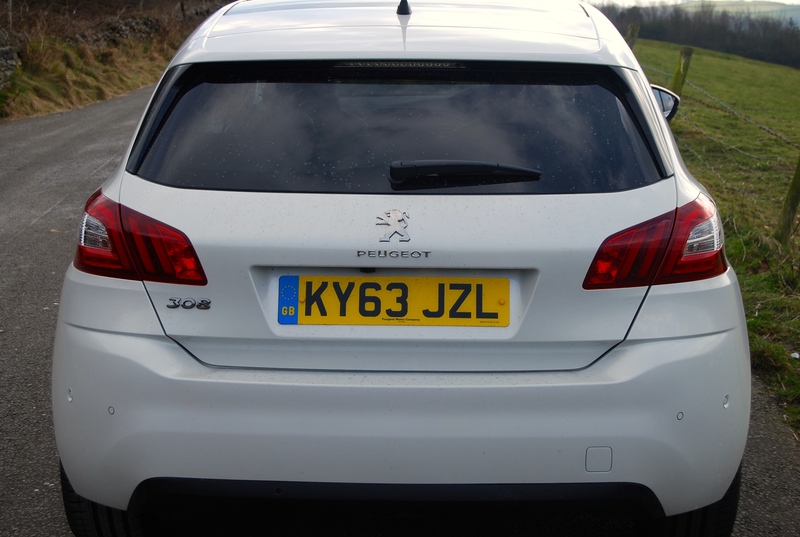 The mid 90s saw Peugeot’s 306 popularise Diesel engines when they were still the reserve of tractors and taxis, this 308 should continue where it left off. Yes, the 2.0 HDi is around £1,700 more expensive than the same spec petrol model, but the performance is very similar (8.9s – 62mph vs 8.4s), and the gains made in mpg(68.9 vs 48.7), Co2(105g/km vs 134) and bucket loads of torque easily justify the extra layout. 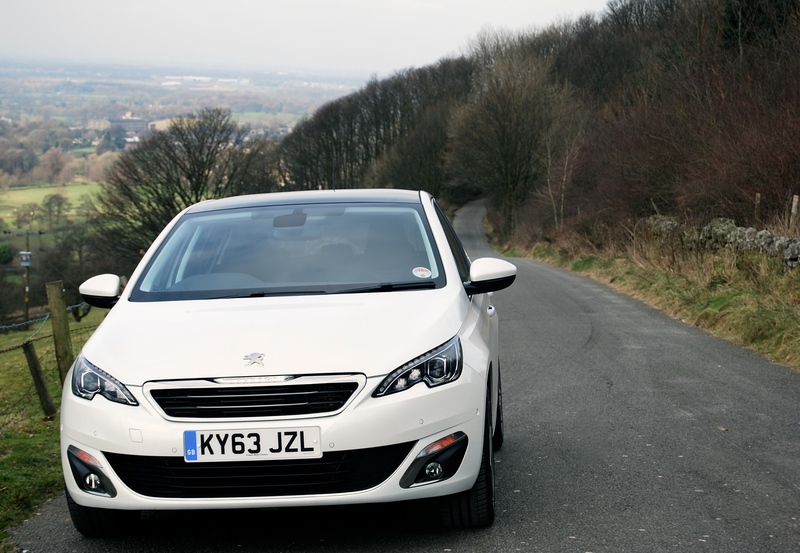 Handling characteristics have always been one of Peugeot’s strong suits and this 308 isn’t too shabby at all. Considering this isn’t wearing a GTi badge, or any other performance led moniker for that matter, it’s more than capable of tackling the twisty stuff. The front will be tempted to understeer if anything, but the stiff-feeling rear end brings things back into line with something of a jolt before long, it just takes a certain amount of trust in the 308’s pretty sorted chassis. 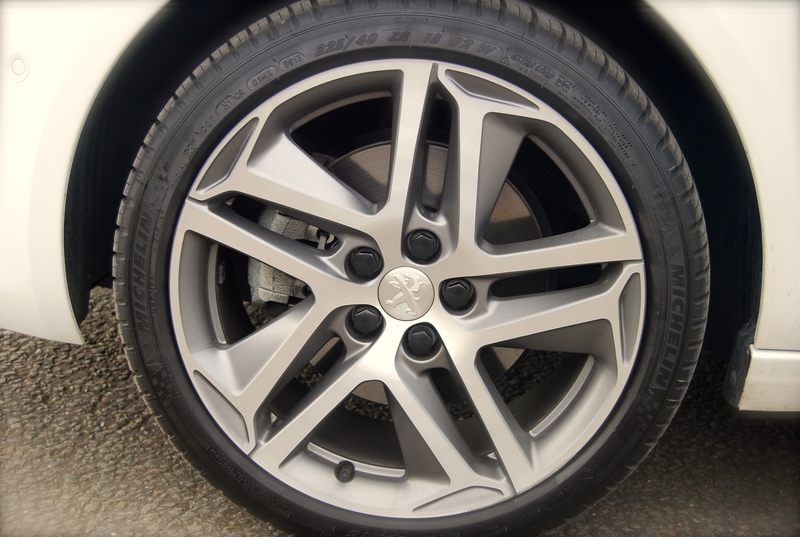 One aspect of this Feline spec 308 that would force me to save some money and opt for a lesser model is the 18” wheels that come as standard. There’s no doubting their visual impact – they’re cleverly designed and fill the arches nicely, it’s just the effect they have on the Peugeot 308’s ride that leaves something to be desired. Coupled with the intrusive tyre noise they generate, it’s another feature I’d leave for ‘Gti’ and ‘R’ models; best to stick with 16’s or 17’s for the sake of comfort. 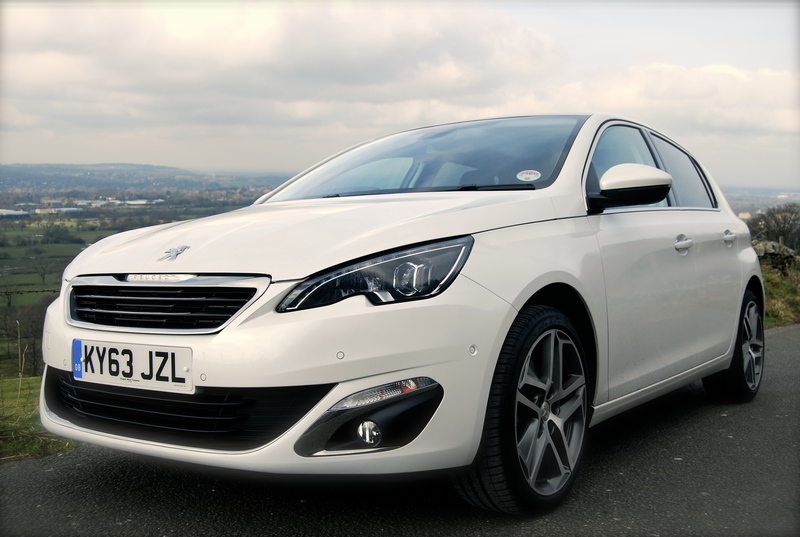 This new 308 model is light years ahead of the model it replaces, both in terms of design and refinement. I challenge anyone to be disappointed with the cabin plastics, even out of direct sight and this is a good indication of the direction Peugeot are heading in with quality becoming more of a priority. 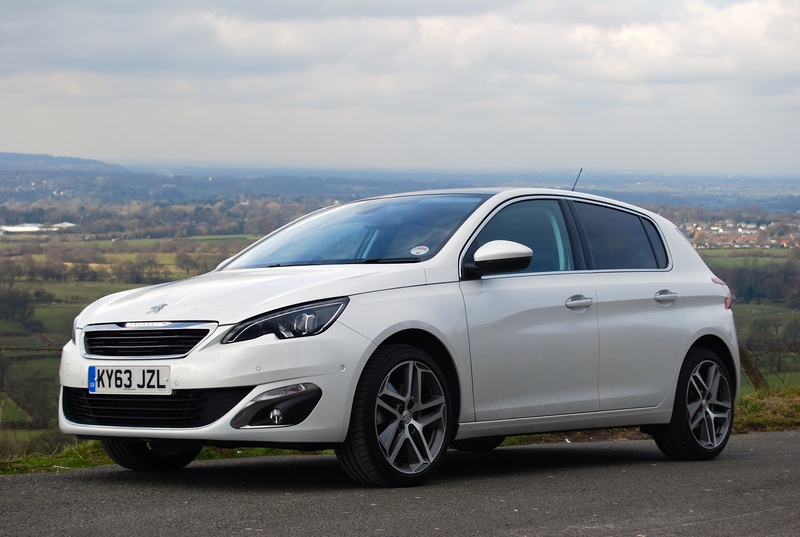 The overall drive is good, not quite Focus standards but not a million miles away, but this isn’t why people will buy a Peugeot 308; it’s the looks that have seen this model prove popular. I’ll go out on a limb here and state that this is the most attractive car in its class, didn’t think you’d read that about a Peugeot, did you? Specifications; Peugeot 308 Feline THP 156, Engine – 1.6l petrol, Transmission – 6 spd manual, Layout – Front engine, FWD, Power – 156BHP, Torque – 240Nm @ 1400rpm, Emissions – 134g/km CO2, Economy – 48.7mpg combined, Maximum Speed – 132 mph, Acceleration – 8.4s 0-62mph, Price – £21,345 OTR, £22,020 as tested.